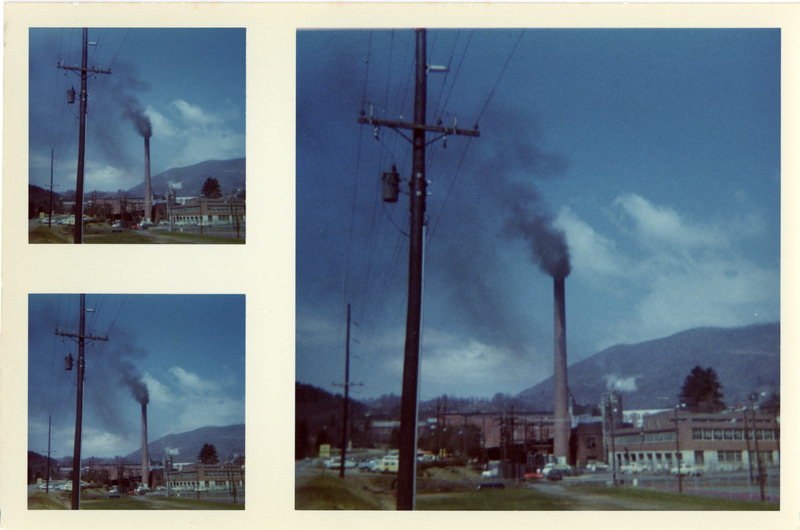 A sheet of three photographs showing a plume of smoke rising from Appalachian State University's Steam Plant. The smoke stack would be torn down in 1973. To the right the Services Annex building can be seen. The Annex housed the University's laundry operation, as well as other maintenance functions. An inscription written on the back of the photograph reads: "ASU Smoke Stack, Boone, 1970." 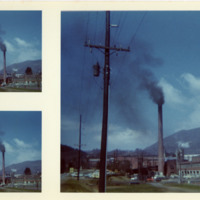 Unknown, “Appalachian State University Steam Plant, Image 1,” Digital Watauga, accessed April 25, 2019, http://digitalwatauga.org/items/show/6825.